The Mermaid London is a leading Central London events venue with the ambition to become the number one event space of its type. Following a major interior refurbishment and ambitious sales targets for the next two years, this prestigious events venue overlooking The Thames at Blackfriars, required a full service marketing provision. 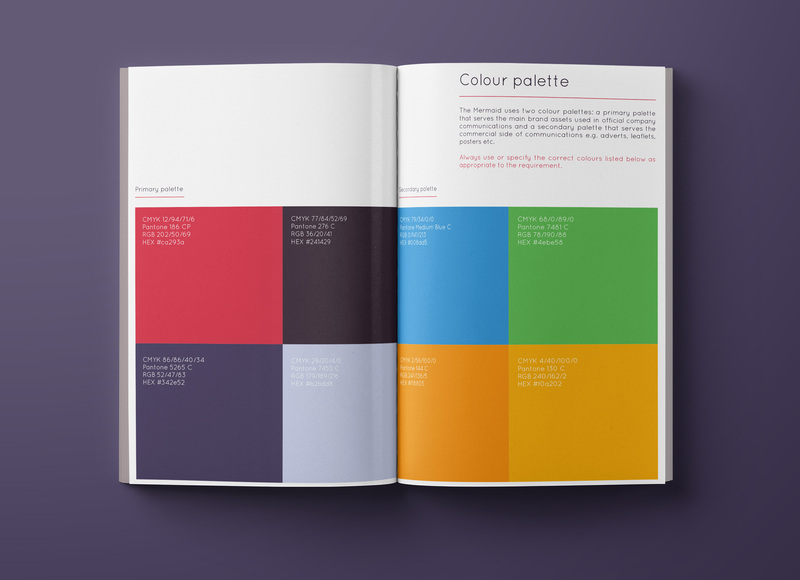 This work included a full re-brand across their logo, signage and way-finding, interior graphics, business stationery and printed collateral, as well as across their website, social presence and advertising and marketing campaigns. 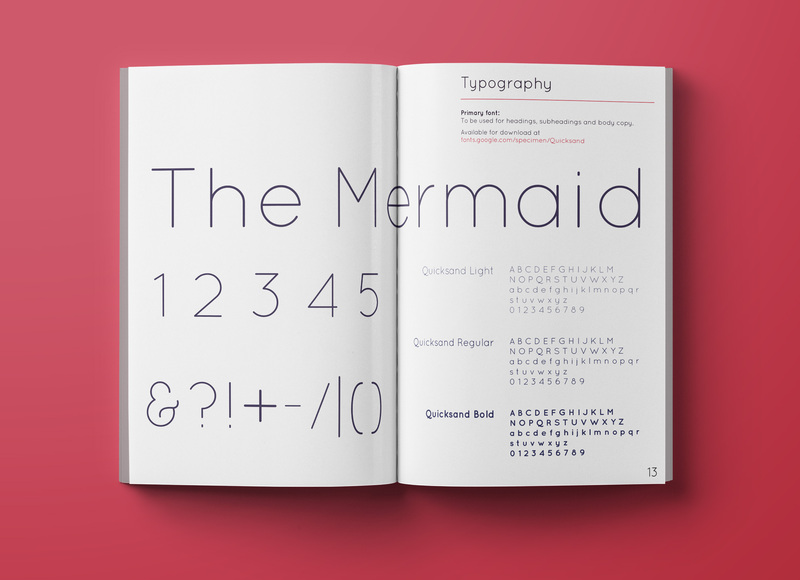 Click here to watch our Mermaid case study video. 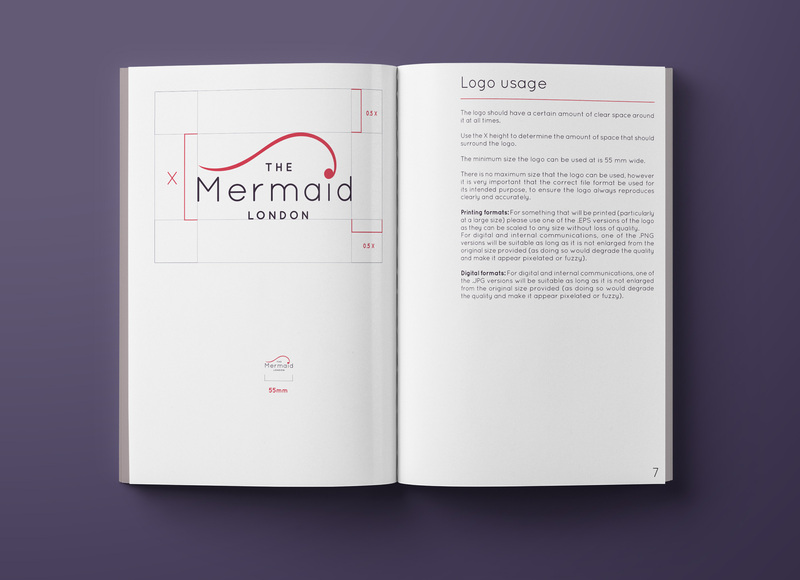 When we started working with The Mermaid London on a strategy to help them achieve their ambitions, it became clear to us that what was most important were the partnerships and pairings they offer – i.e. event planning and implementation; strong Mermaid and client relationships; and the flexible and impressive spaces that makes it a stand-out London venue. 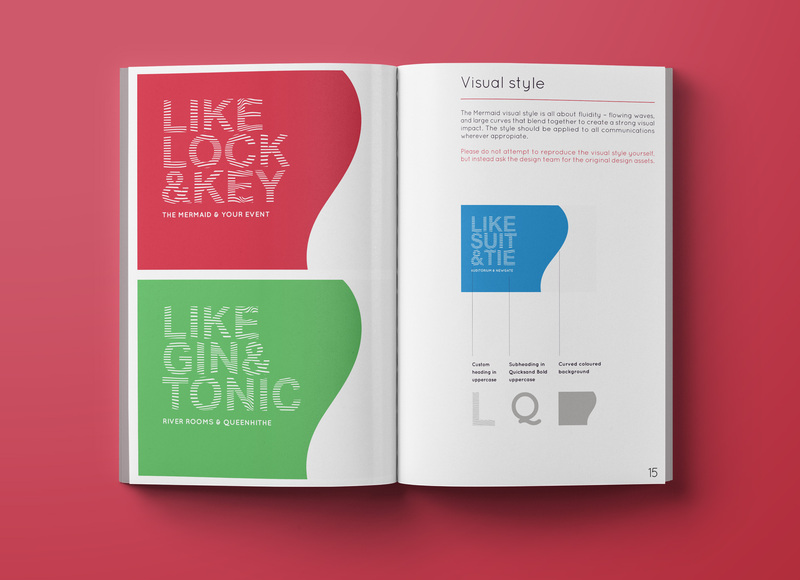 We created a distinctive tone-of-voice and visual language for the brand in order to reflect these ‘partnerships’, using familiar word pairings of ‘things that work well together’ – such as ‘gin & tonic, lock and key, shirt & tie’. 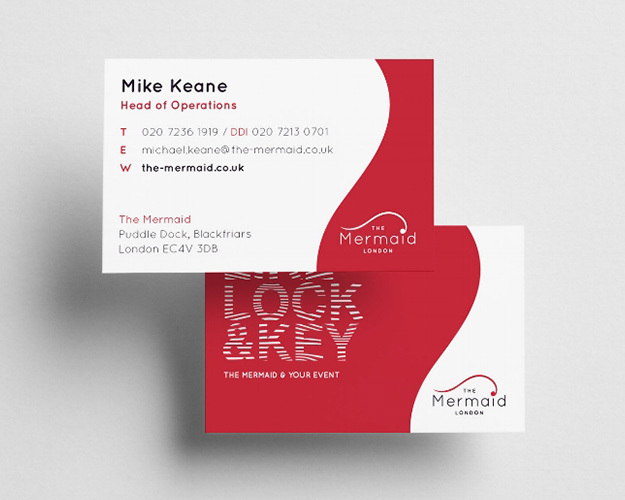 This gave The Mermaid London a distinctive and quirky style that contrasts with many of its competitors in the leisure and hospitality sector and which reflects the vibrancy of the venue and its riverside location. Visualised through a bold colour palette, a logo-inspired curve, and a bespoke wavy typeface, there is now brand consistency across the venue’s physical environment, marketing, printed output and digital channels. 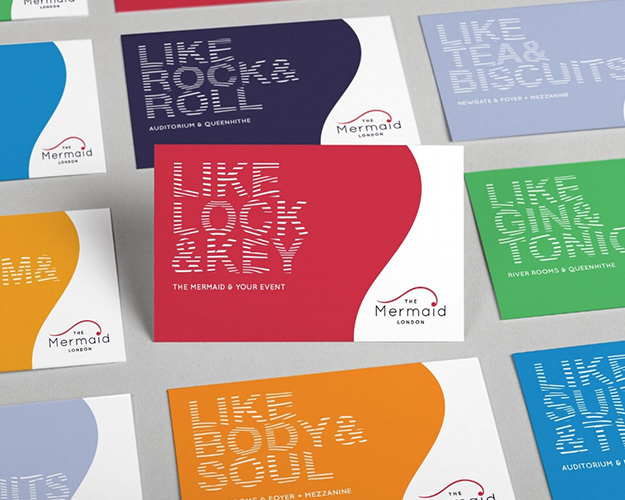 In order to help communicate the flexibility and potential of the venue and the event production services they offer to clients, we also redesigned and rebuilt the Mermaid London’s website from the ground up. 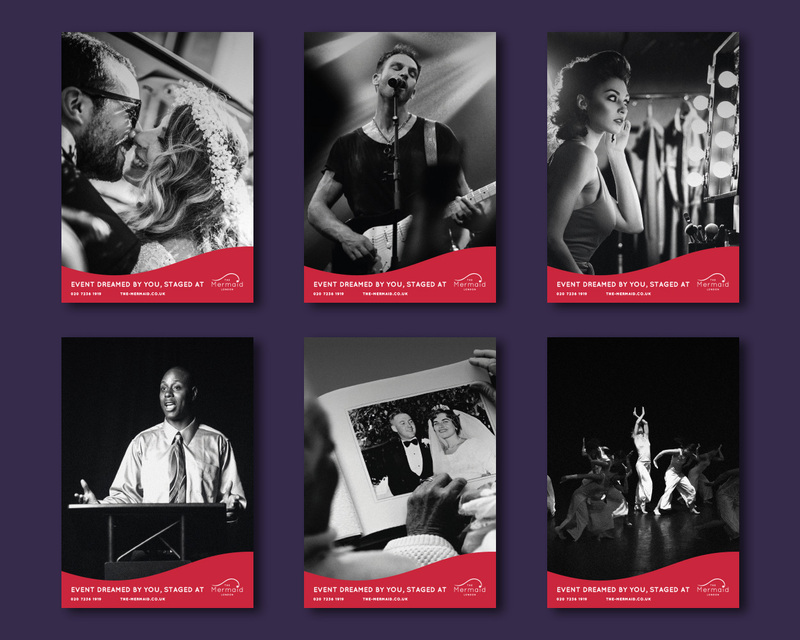 This included producing new photography, video and motion graphics and ensuring that the website is built to load fast, work across all devices and is optimised for SEO.